The wires popped out of place the first time I tried to use it. I was trying to slice mushrooms! The nice thing was how quickly I was given a refund. Walter Drake gets a 5 star review. 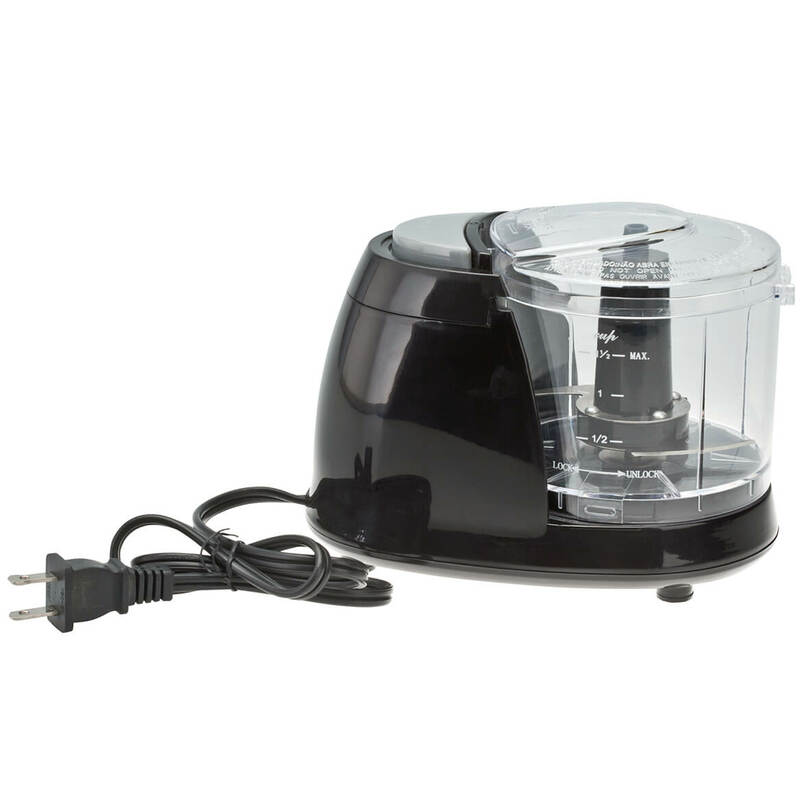 This product comes in handy because you don't have to worry about cutting your hand with the knife. 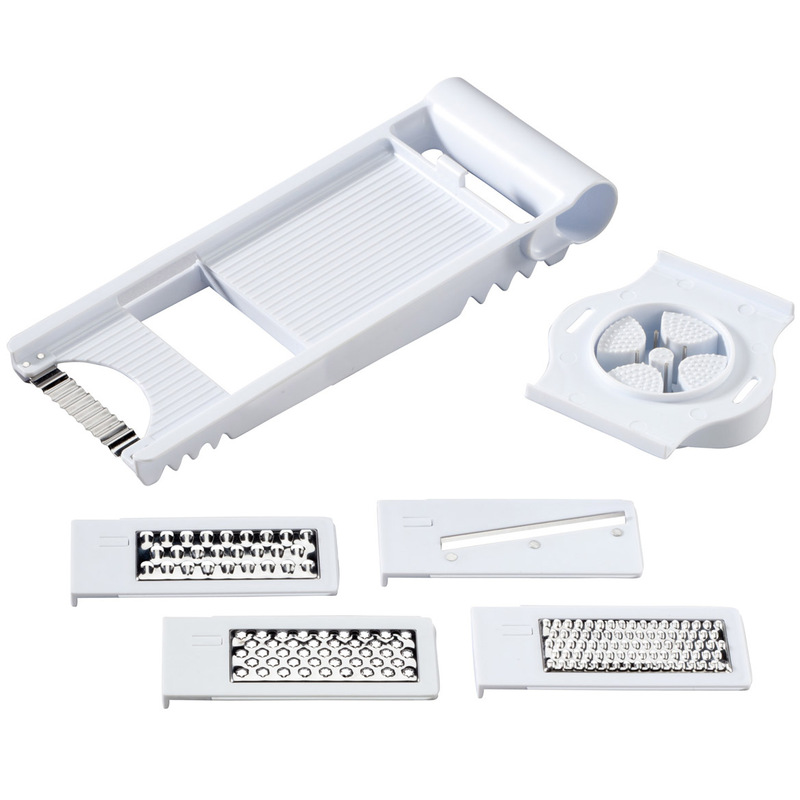 This product comes in handy for easily slicing many foods. Since I've got arthritis in my hands it makes my life easier. THIS SLICER BROKE AFTER ONE WEEK. I don't know if I had a defective product or what but it broke the 1st time I used it, so I threw it away. What a shame & a waste of money. I gambled that this would slice an uncooked tomato. One customer review said it would not. Manufacturer said it would. Wires were not sharp enough to slice through tomato skin. Would need blades. Crushed, did not slice. Have not tried it yet with hard boiled egg or brick cheese or maybe boiled potato. 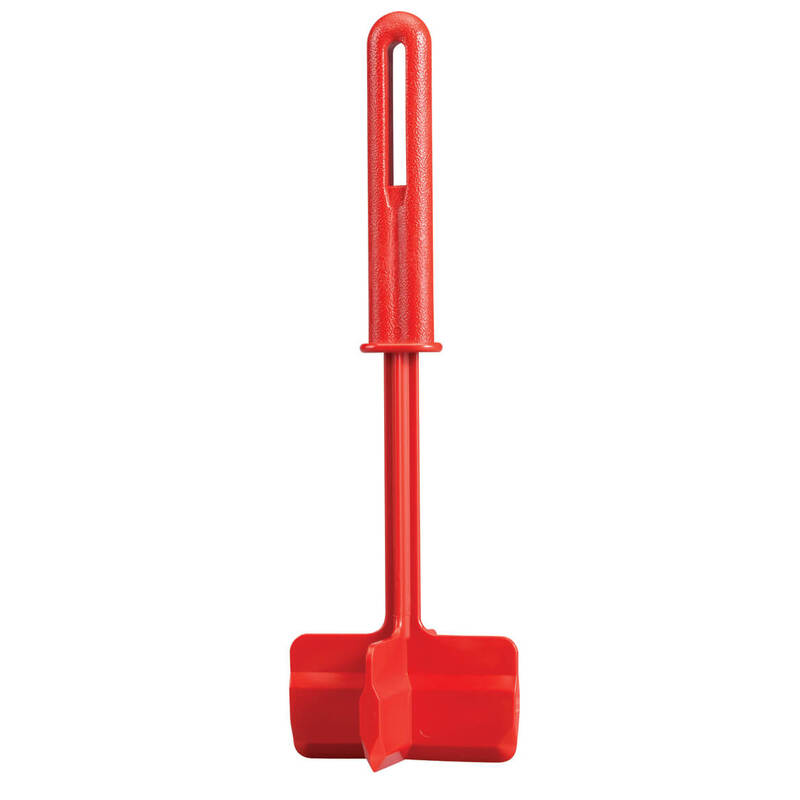 Cannot use this as wont cut through tomatoes or cucumbers. Cant send it back because threw away all of the packing slips. Guess it will work for eggs only. Really disappointed in this product. Its a terrible buy for me from Miles Kimball. possible the worst product i have ever used, the GOOD NEWS, was i called MILES KIMBALL, right away and they put my money back on the card and did not have to go throught the hasle of mailing it back. great customer service. This is for me. I'm hoping it will make veggie slicing a little easier for these old hands. I chose this item because I thought it would save time and the items that I am cutting would look nicer. I like things that give me even, uniform slices. I'm wondering if the wires are going to be strong enough to cut cucumbers though. 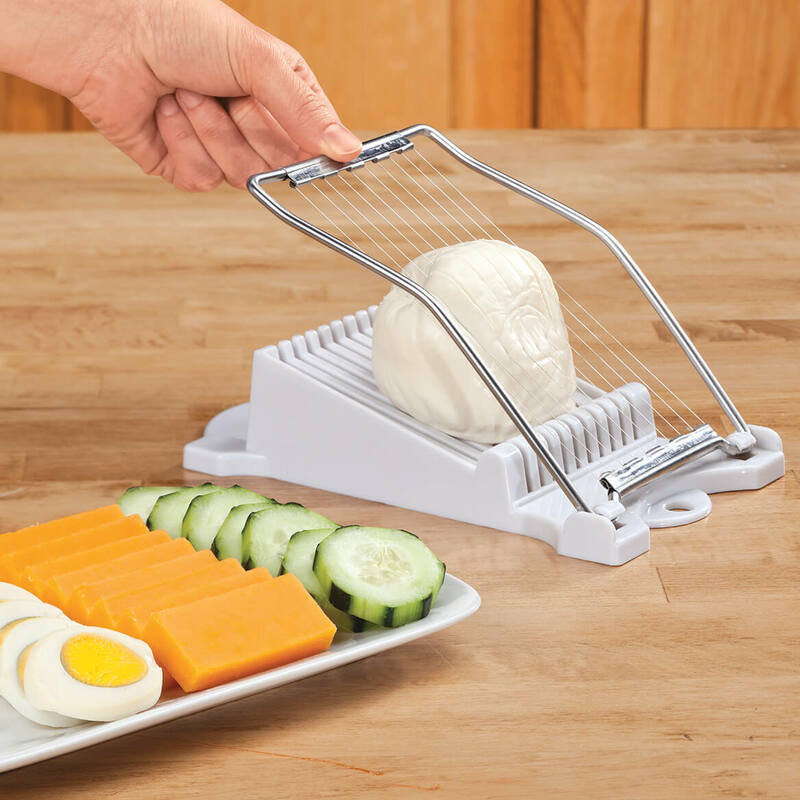 to make slicing mozzarella cheese easier. Love big slice on a burger, This should make it the same thickness all the way. I want another on. It is great for fruits and veggies. 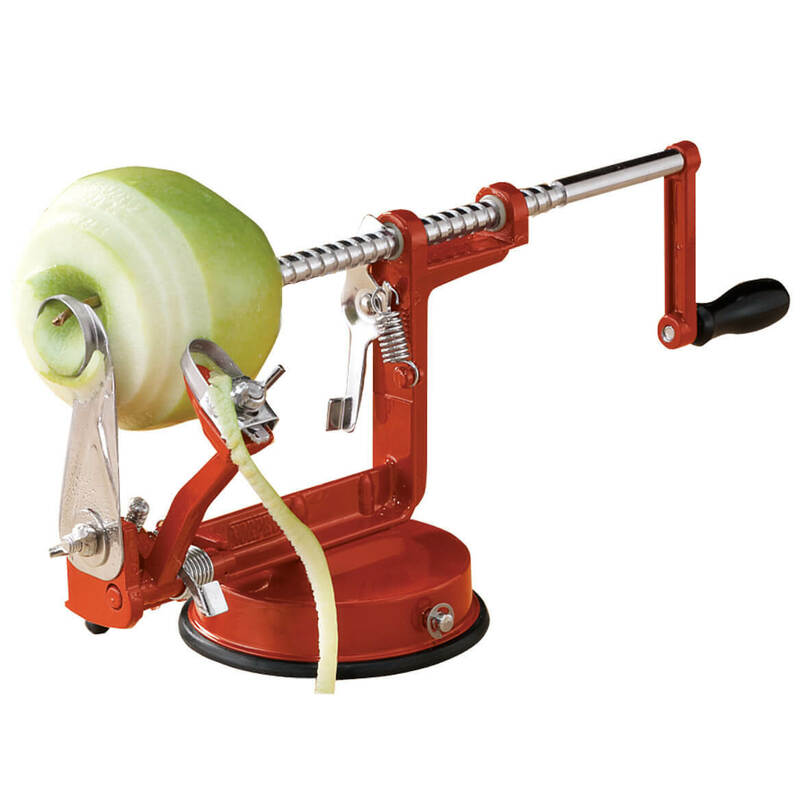 IT WILL MAKE IT SO MUCH EASIER TO SLICE THINGS WITH THIS. I need an egg slicer. I break, at least, one egg slicer every year. This looks stronger and more durable. To slice tomatoea better than I can. I like that is larger than an egg slicer. 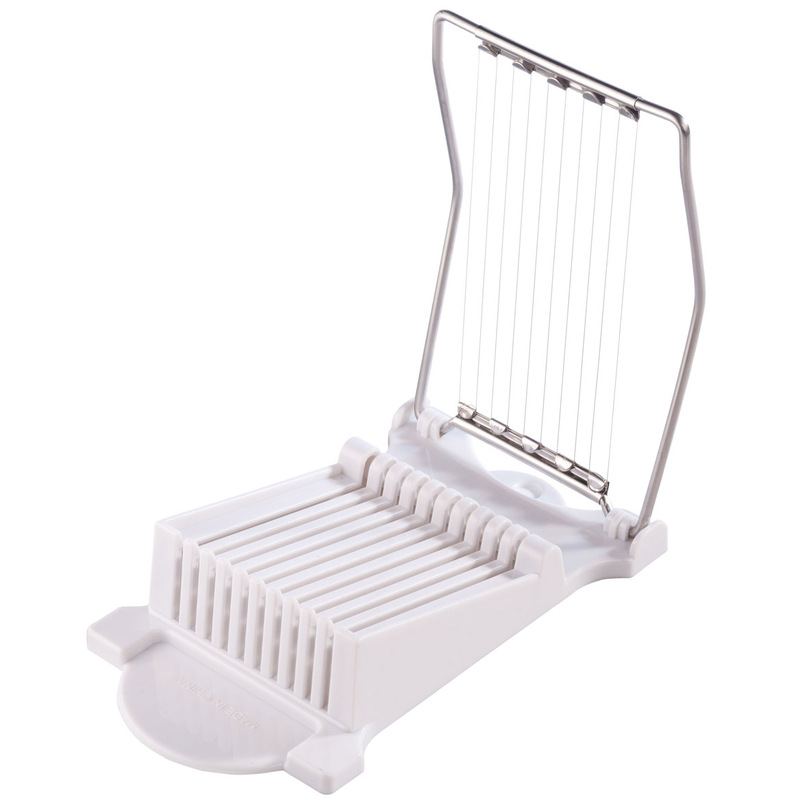 Daughter-In-Law need this for Granddaughter who loves to cut up strawberries in this little thing they have, This seems bigger and can cut more than one at a time. Looking for quick way to slice up stuff for salads and sandwiches. Looks strong enough to do the trick. 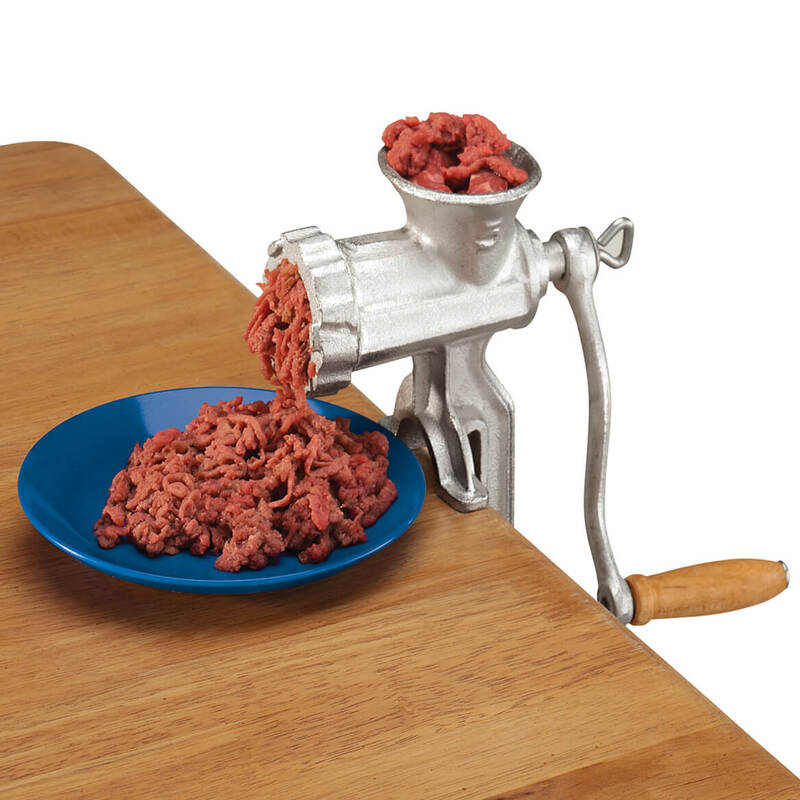 would this work to slice spam? BEST ANSWER: Yes it will cut spam. But please never try to cut potatoes or onions, it will break. Sure would! I use mine all the time for spam, eggs, cheese, anything I can think of! Have not tried it on spam. ; I do not think it would not work with spam. Yes I think it would. Seems to have song cutting wires.